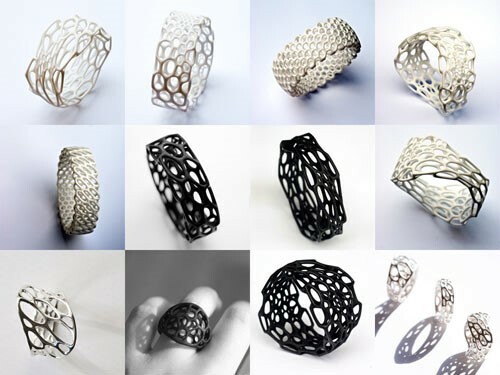 There was a time when 3d printed jewelry sounded something out of a science fiction movie but those days are gone. Jewelry out of everyone's wildest imaginations can now become reality. There has been an increasing trend of designers that are showcasing the dream work made real on a lot of jewelry displays. 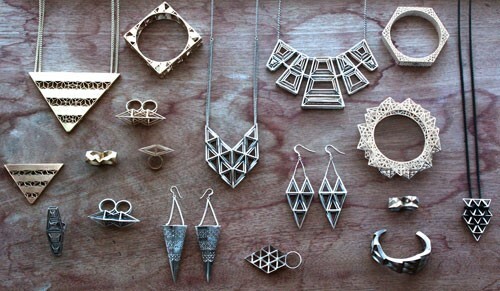 3d printed pieces can look and feel exactly jewelry that is cast the traditional way. That means that soon enough, 3d printed pieces is on the cusp of becoming mainstream. What do you need to 3D print jewelry? Apart from the obvious printer, the material to be used is necessary. Some use a filament, some powder, and most prefer liquid resin and wax. The one thing that will be needed for sure is a 3d file that will visualize your piece from all directions. You need 3D modeling software to create those. The fun part is that there are beginner-friendly ones that are in apps, but there are also super high-end programs. As the program gets more advanced, the more intricate the designs any designer can make. And then, with the material and 3D file ready, the printer can print the file into reality. Yes, a 3D printer is expensive, but some services cater to helping those that don't have but need one. 3D printing isn't just about making the 3D file and then printing it. Traditional jewelry making is still a necessary aspect of the process. You can make the centerpiece and support it by hand-making the support parts of the piece. What this means is that designers no longer need to worry about the production as much as they did before. It saves time by a lot, and that helps in increases your output. Another advantage would be that the pieces you make are automatically your signature. When you create the pieces, you base it on the idea you have in your head. Without being hampered by the limitations of standard design that ones will get from jewelry supply stores. You can put in more detail than you could ever do with just hand-made work. Your only limitation would be your imagination. What do you need to do if you don't know how to design your jewelry? Luckily, there are a lot of people are into this already and are sharing their great designs online. From Pinterest to Flickr, there is a mountain of pictures that you can glean either inspiration or just take the actual layout. You should also find 3D modeling software that you could use easily. There are various programs for a variety of OS and even smartphones (meaning you can design on the go). You would still need even if you took inspiration elsewhere. Finally, when you do find the design you want to work with, learn the best printing materials to use for your designs. As some materials will find itself in different consistencies and toughness based on the intricacies and possible flimsiness of conception. A common concern is losing the human edge of jewelry-making because of 3D printing. Just because you use a computer and a printer, that doesn't mean that the human element is gone. The designer still needs to come up with the design, eye for detail and artistic talent to turn dreams into solid pieces is necessary. And this is as human as it gets. As mentioned earlier, traditional techniques are still needed to make it work together. So, the personal touch is radically vital to it. 3D Printing isn't taking that element away, it's carrying it to places it couldn't reach before.